2019 Mastercraft X24 SOLD!!! Welcome to the new wave. Born in the lab and made to get rad, this is the X24. It was designed from day 1 to live squarely in that sweet spot where science meets soul, the surf is better than ever and the wakes are wicked. Featuring the brand new intelligent Switchback ballast tank—the X24 truly makes better waves than anything else in the industry. It serves up cleaner, longer, sharper and bigger waves than any towboat ever before. Grab seventeen of your best friends, load it up and get stoked to roll out endless legendary surf on your way to a legendary summer.Hans Boat Works is a family owned business with over 38yrs of boating experience in the Central Valley of California. We are a full-service dealership and have in-house service department with factory trained mechanics on our staff. We are your go to boat dealer for new or pre-owned boats from Mastercraft, Malibu, MB Sports, Centurion & Supreme, Nautique, Larson, Bayliner, Axis, Tige, Moomba, Cobalt Ranger, Skeeter, Triton, Tracker, Harris Pontoon, Bennington, Nordic Power Boats, Eliminator, Sea Ray, Chaparral and more. We have a wide selection of Mastercraft NXT20, NXT22, XT20, XT21, XT22, XT23, XT25, X21, X22, X24, X26, Prostar and XStar boats as well as Ranger RT178, RT188, RT198p, Z185, Z518, Z519, Z520, Z521, Commanche boats and Reata Pontoons. Some of the prices shown do not include DMV fees, taxes, dealer freight; preparation or documentation fees, finance fees (if necessary) and/or customer selected options. 2019 Mastercraft X24 is a 2019 Mastercraft X-2 Pontoon & Deck Boat in Visalia CA. 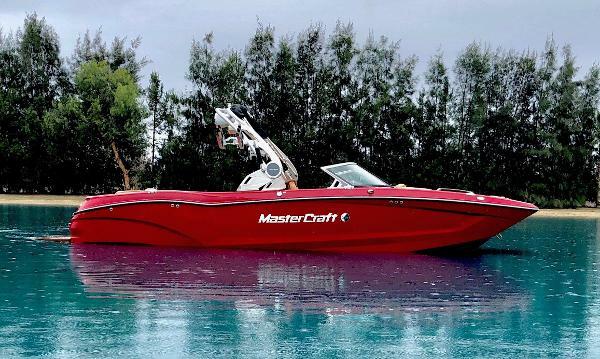 Find other listings by searching for 2019 Mastercraft X-2 in Visalia on Oodle Classifieds.